DeSantis and Jordan were both instrumental to the founding of the House Freedom Caucus. Despite having a history of working together in the House Freedom Caucus, Congressman Ron DeSantis has not offered his take on the allegations against Rep. Jim Jordan of Ohio, which first arose two weeks ago. Since July 3, Jordan has been facing a growing list of accusers who allege he of turned a blind eye to sexual abuse of Ohio State wrestlers by a team doctor, while Jordan was a coach nearly three decades ago. The doctor has since died. Seven former wrestlers have now come forward. But other former wrestlers have defended Jordan. Jordan has denied he had any knowledge of the abuse. In April, President Trump singled out, by name, four House Republicans whom he considered his "warriors" for their fight against the Mueller investigation: Matt Gaetz, Mark Meadows, Ron DeSantis and Jim Jordan. Both Gaetz and Meadows have come out swinging in defense of their fellow "warrior." 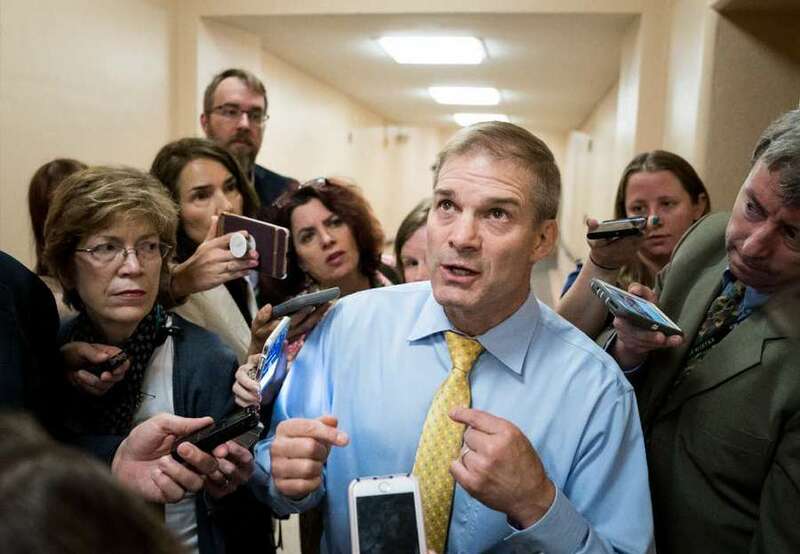 "How is Jim Jordan supposed to prove that he didn't know something 28 years ago? Could any of us?" Gaetz tweeted. "This is a deliberate attempt to knock the best oversight member of Congress off his game the week (former FBI agent Peter) Strzok is scheduled to testify." "I have always known Jim Jordan to be a man of the utmost character, honor and integrity," Freedom Caucus Chairman Mark Meadows (R-N.C.) said on CNN. "I'm proud to stand by Jim Jordan and support him 100 percent and call on all of my colleagues to do the same." Jordan also donated $2,000 to DeSantis's campaign for governor on June 29, just days before the allegations were first published by NBC News. DeSantis's campaign spokesman, David Vasquez, directed questions about Jordan to DeSantis's Congressional office. The spokeswoman at that office, Elizabeth Fusick, did not return emails seeking comment. DeSantis has not posted about the allegations against Jordan on his Twitter or Facebook pages. DeSantis and Jordan are both influential members of the House Freedom Caucus, the group of the most far right members of the House that pushed out former Republican Speaker John Boehner. Jordan is running for the speakership to replace Paul Ryan, who is not running for re-election.